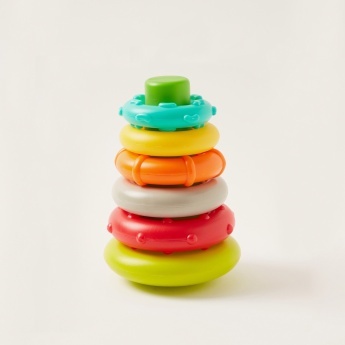 Rock n Stack Rings Playset | Multicolour | This cute stacker will keep your little toddler occupied. Different colors and textures of each ring will help promote tactile stimulation, develop logical thinking and improve motor skills. 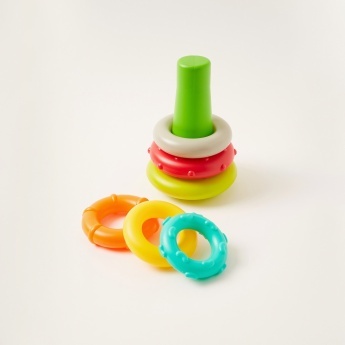 Keep your toddler occupied with the help of this stacker rings as it will hell help promote their tactile stimulation, improving motor skills, and developing logical thinking. This early development toy is completely safe for your child and can be used as bath time toys as well. Feature 1 : This cute stacker will keep your little toddler occupied. Different colors and textures of each ring will help promote tactile stimulation, develop logical thinking and improve motor skills.